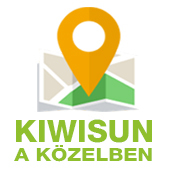 We would like to draw your kind attention to the new service of our KiwiSun tanning studio and its initial promotion within the frameworks of which express teeth whitening is available in our studio at Kolosy square. 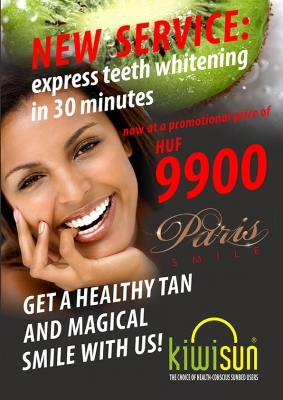 At a very favourable price, for only HUF 9900, you can try the Paris Smile professional teeth whitening which only takes 30 minutes on the spot. Tan yourself healthily and brighten your smile just like magic! 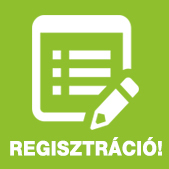 You are welcome in our Budapest salon at Szt.István krt. until 10 p.m. on each day of the week!